Here at the Waffle House we always try to accommodate customers with special needs. So, in addition to having ramps for wheelchair-bound customers we now also have parking for the disabled. 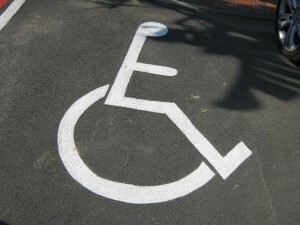 We also offer an in-house wheelchair to assist those customers who find it difficult to get from the parking lot to the restaurant. We also value feedback and suggestions so please feel free to drop us an e-mail at manager@wafflehouse.co.za .